Pony cars and winter are about as compatible as Hollywood stars and the Alberta oil sands. Simply put, there’s no love between the two. Mustangs and Camaros regularly disappear into garages in October and reappear some time around May. Those are the smart ones, at least, unlike the one that went sideways in front of me on an icy road one January not long ago. Fiat Chrysler Automobiles sensed an opportunity in all that, creating what might seem like an unlikely Frankencar – the Dodge Challenger GT AWD. 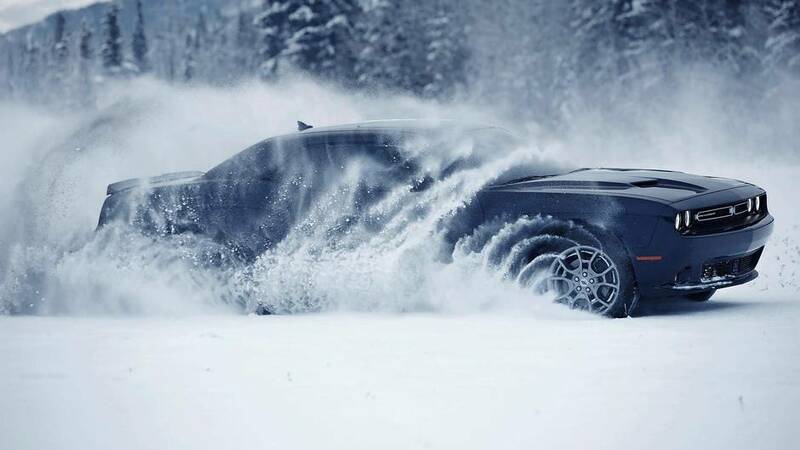 FCA bills it as the world’s first all-wheel-drive muscle coupe. Purists might scoff at a pony car with the traction of an SUV, but Ben Lyon, brand manager for Dodge, said the market signals for such a product were strong. Looking at the northern half of the United States, fully half of the sales of the sister Dodge Charger were in the AWD version. Of buyers who wanted muscle coupes but opted not to buy one, he said, 70 per cent said the reason was they weren’t available in all-wheel drive. (Canadian statistics are similar.) Muscle-car owners don’t want to park their hot wheels all winter. The Challenger GT AWD gives speed freaks the option of year-round fun, but it’s a different driving experience than the side-drifting summer cars. 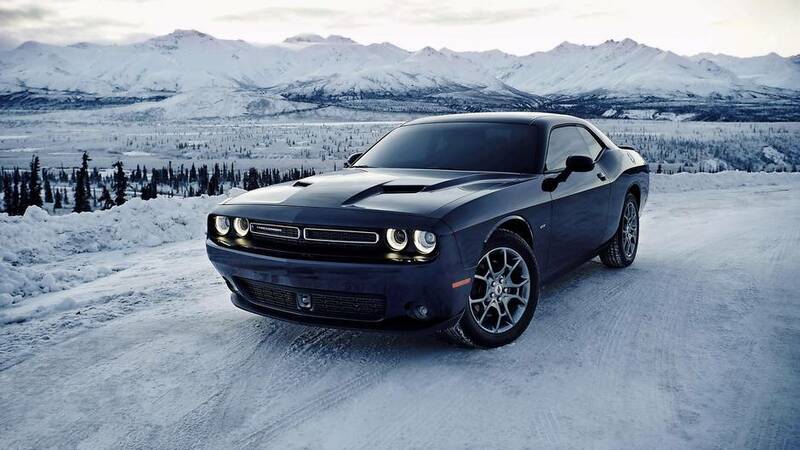 FCA chose the slush-covered back roads of Maine and New Hampshire (plus an enclosed track) to turn us loose, Dukes of Hazzard style, on the Challenger. The experience was eye-opening. On the crumbling and twisting back roads, the Challenger rides board stiff, the way any performance car should. Electronic stability control kept the car rock-solid through tight turns, no matter what the G-force. Though shod with Michelin all-season tires on 19-inch rims – not suitable for deep-winter conditions – the car had to be pushed hard to break loose. What made the car special, though, was performance in snow and on ice. On the closed track, we plowed through 15-centimetre deep, wet goo – the kind of stuff that makes great snowballs – and tried time and again to push it out of control. We powered through soggy bunches of caked snow, the engine letting out an aggressive growl as revs lifted beyond 4,000 rpm. Rather than spinning helplessly, even the Michelins dug in like four big paws on a cat. Most remarkable, though, was the way the car behaved once you mounted the courage to stay on the throttle ride through a slide. As years of sometimes painful experience have shown, if you stay on the power with a rear-wheel-drive car, it just goes in circles – and occasionally into other cars. 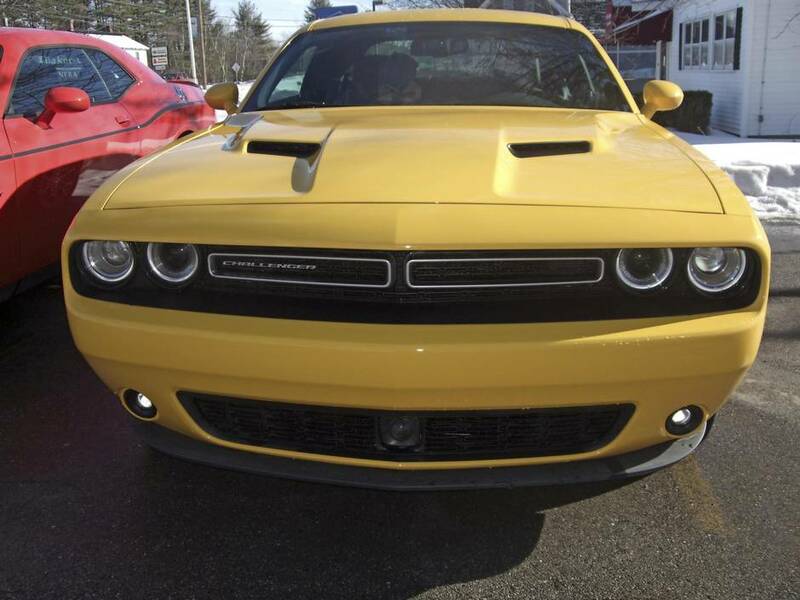 The Challenger GT AWD, on the other hand, insisted on staying straight, as the AWD system constantly adjusted the power to each wheel. The behaviour is explained by the complex and sophisticated drivetrain. The heart of the system is the “active transfer case” – basically, the system that allocates power to each of the wheels, said the car’s chief engineer Alison Rahm. In summer highway cruising, the front axle is disconnected to optimize fuel economy from the Pentastar V-6, which pumps out 305 horsepower at 6,350 rpm and 268 lb-ft of torque at 4,800 rpm. When the temperature drops or the driver gets aggressive, the system seamlessly switches to AWD. Sensors monitor steering angle, vehicle speed, vehicle yaw and wheel speed, and makes continuous adjustments to the power delivered to each wheel. Power only goes to the wheels that should be turning. The concept is not new. The company started with the suspension and drivetrain of the “pursuit” Charger – the one used by police departments – which includes an eight-speed automatic transmission and the active transfer case. Engineers then fine-tuned the suspension to match the size and proportions of the Challenger. On dry pavement, the Challenger is all civility and manners. The GT model comes with Nappa leather-faced heated and ventilated front seats, sharp black aluminum wheels, a 20-cm multimedia centre with touch-screen nav, and many safety features: rear back-up camera, rear park assist and side warning. More surprising was the interior space. The Challenger has relatively huge interior dimensions, with a back seat big enough to authentically accommodate three adults. The trunk is also beyond what you’d expect; with fold-down seats, you can even pack your skis. The spaciousness makes it feel like a family sedan masking as a sports coupe. In the Rocky Mountains, the unofficial winter car of choice is a 4WD SUV, often a Subaru. 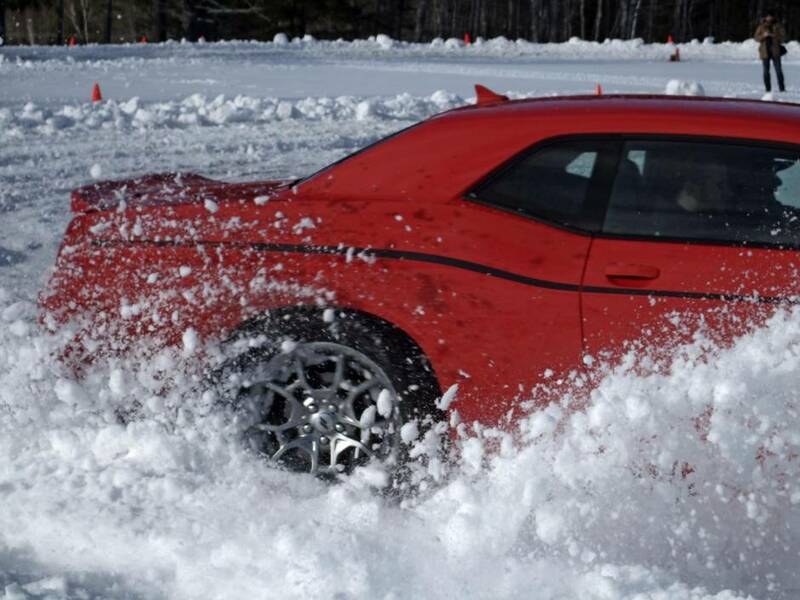 Dodge’s sprightly Challenger GT AWD has proven, however, you don’t need to be so boring. Here’s a pony car that seems ready to take on all four seasons. Production of the car in Brampton, Ont., starts this quarter and delivery to dealerships is expected shortly after that. Looks: FCA has done a great job of capturing the spirit of the early 1970s Challenger and yet made it feel contemporary. Interior: It’s a coupe, so getting into the back is never fun. Yet the rear seat is big enough to honestly handle three grown-ups. The heated and ventilated leather front seats are a pleasure, and the four-way power lumbar adjustment for the driver is welcome. Performance: It’s “only” a V-6, but it has 305 horsepower – which means it goes like stink but maintains reasonable fuel consumption. Technology: Well-equipped for the price-point. The multimedia centre has touch screen navigation with voice recognition, plus such safety features as rear back-up camera, rear park assist, and side warning. The adaptive AWD system is a marvel. Cargo: A spacious trunk plus fold-down rear seats make this a truly flexible vehicle, with more than enough capacity to carry gear for a weekend away.